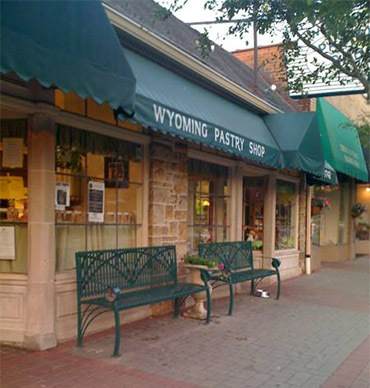 Our bakery has been serving the Village of Wyoming and surrounding areas since 1934. Phillip and Kimberly Reschke are the fifth owners of this hometown bakery. Phillip is a second generation Master Baker, working with his father a Master Baker from Germany, he has learned all aspects of the bakery and pastry trade and takes pride in all of the products he crafts. Kimberly has been decorating cakes for 30 years, spending time in Cincinnati and Las Vegas perfecting her skills and creativity in a variety of pastry and cake design. We strive for complete customer satisfaction. We want you to think of us whenever you have a craving for something sweet, a special cake or cookie, or one of our many products we offer. We are a small business and will keep it small so we can control our quality to provide the best product to you. Baking. We strive to provide you with the best looking and tasting baked goods we can, we are current on trends and technology that effect our industry . Our Legacy. Our bakery has been making people happy for 81 years and will keep doing so. Our Community. Our support for the communities is very important to us, we have always had very warm relationships with schools, churches, local governments, and all our loyal patrons.